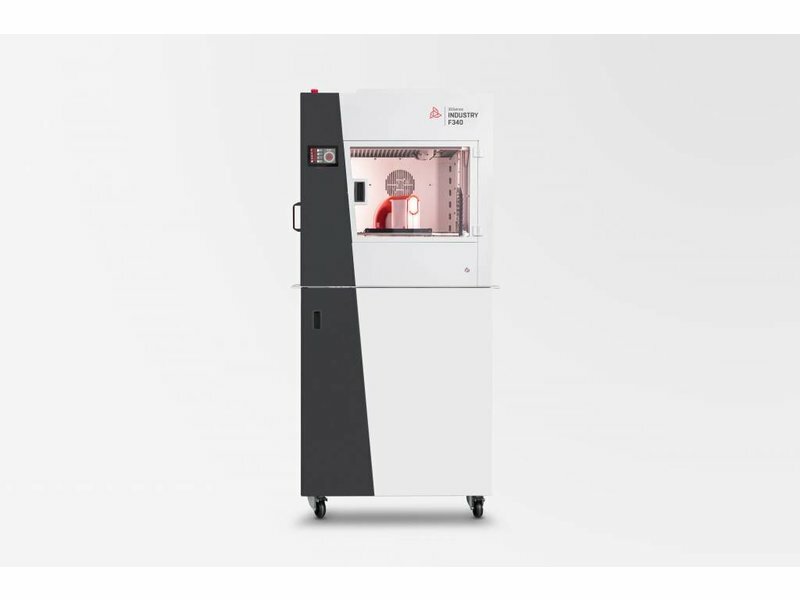 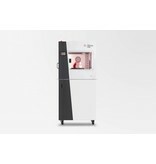 With the Industry F340, 3DGence offers a professional dual extrusion 3D printer that has an advanced system of print control. 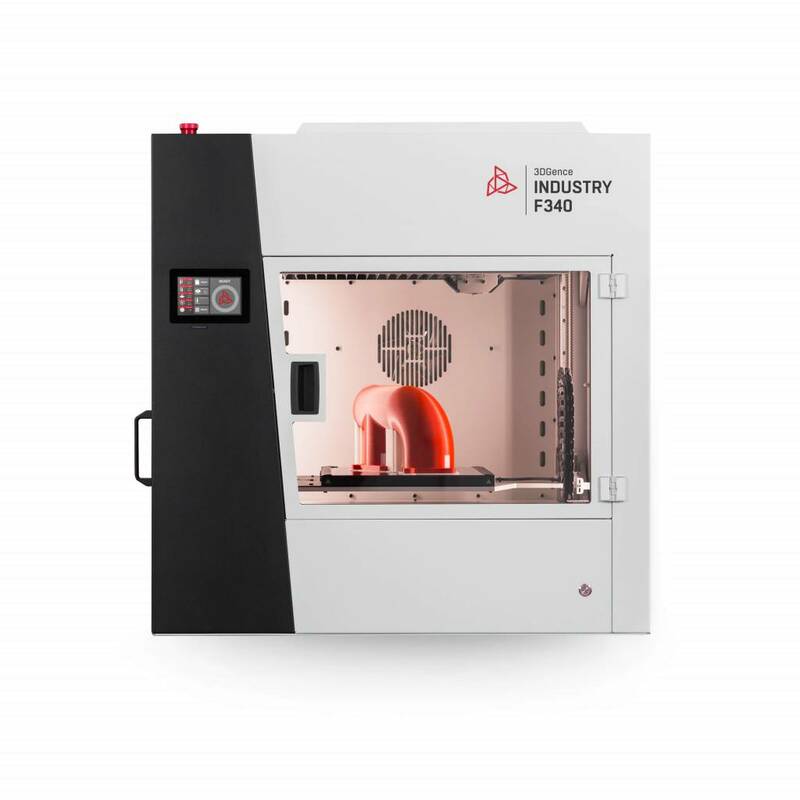 The Industry F340 was developed to ensure great results for industrial applications that require speed, accuracy, comfort and safety, all in on. 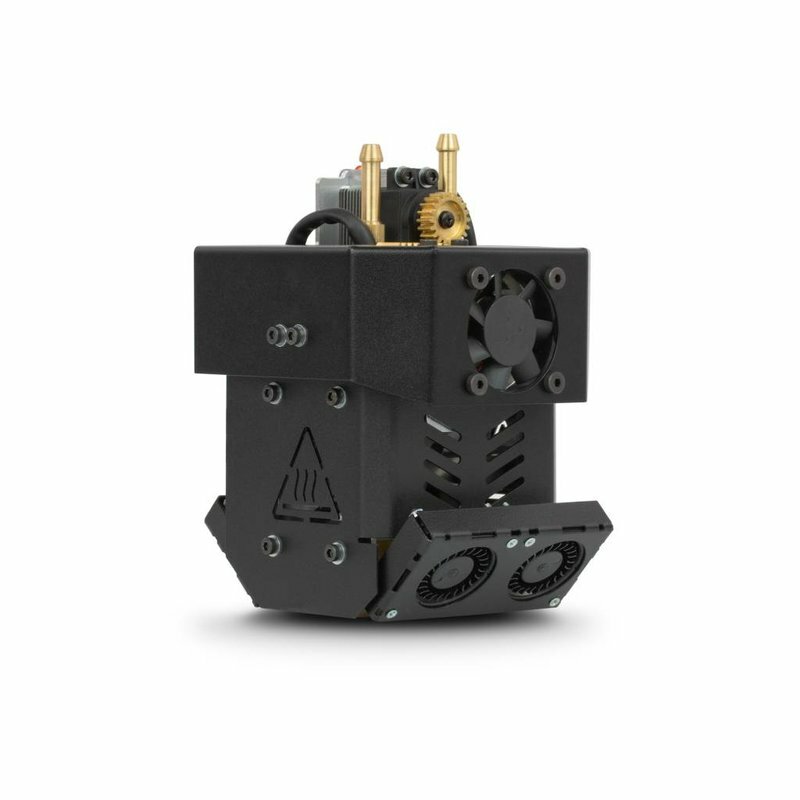 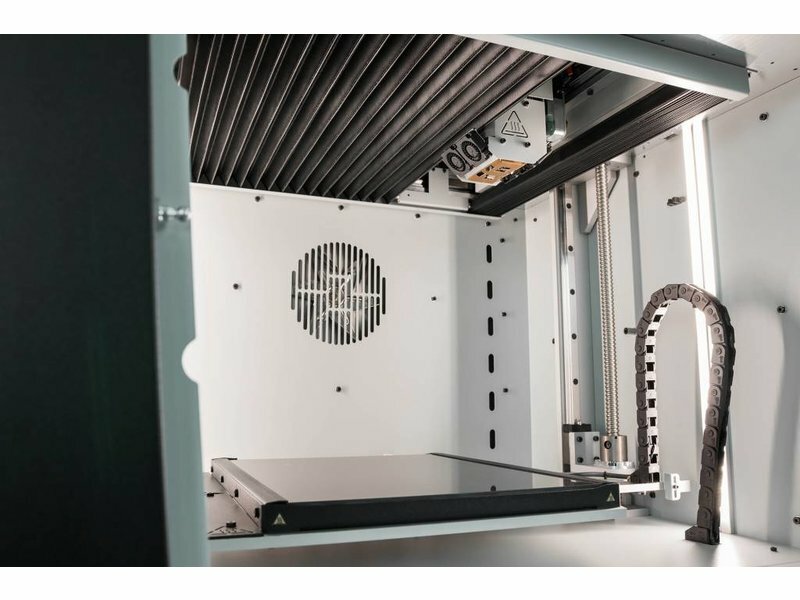 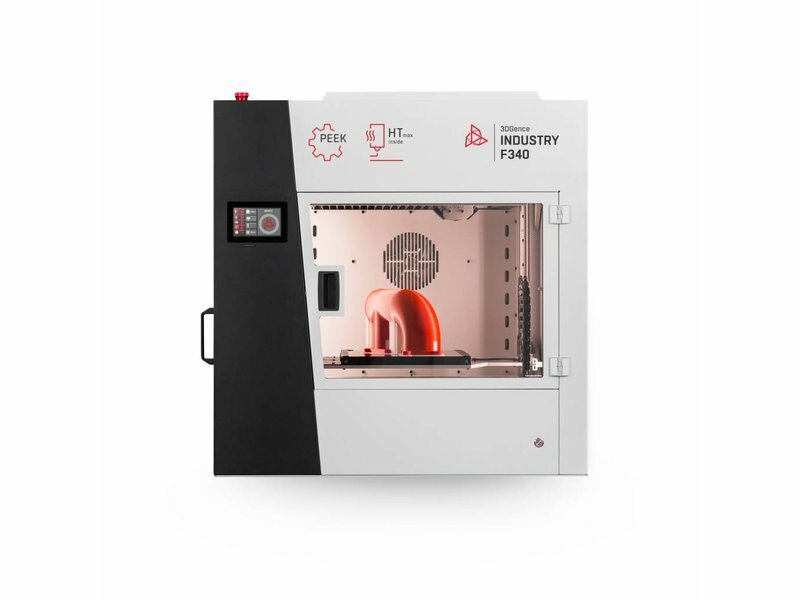 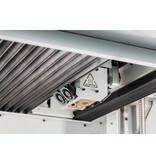 The Industry F340 has a unique heated chamber and an easy to change system to swap your print module. 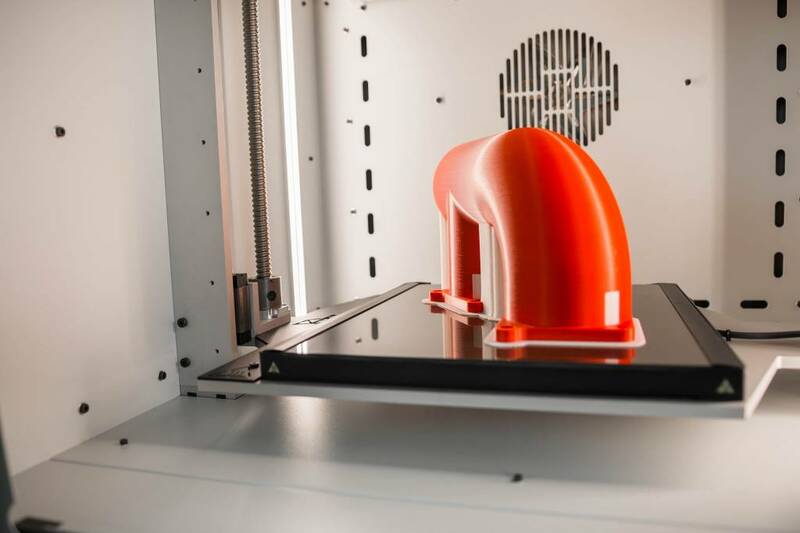 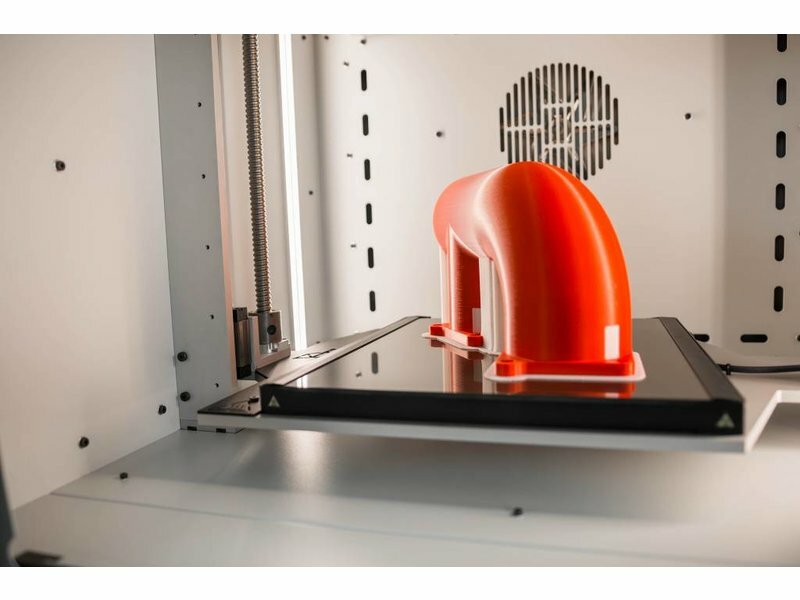 Thanks to all of this, the Industry F340 allows you to print industrial-grade materials, like PEEK and Nylon, without problem. As been said, the Industry F340 offers the option to change between different print modules. 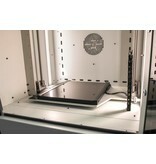 These 3 modules (Pro, HT and HT Max) allow you to print a big variation on potential printable materials. 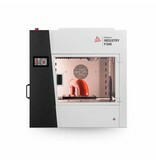 The Pro module is the basic module, which lets you print the basic materials like PLA, ABS and PET. 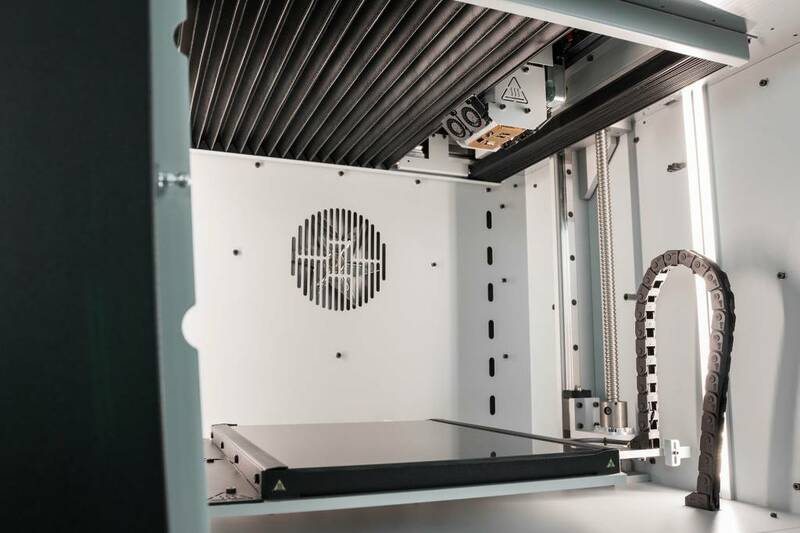 The HT-module lets you print filaments based on Polycarbonate, and the HT Max module offers you the option to print seamlessly in PEEK. 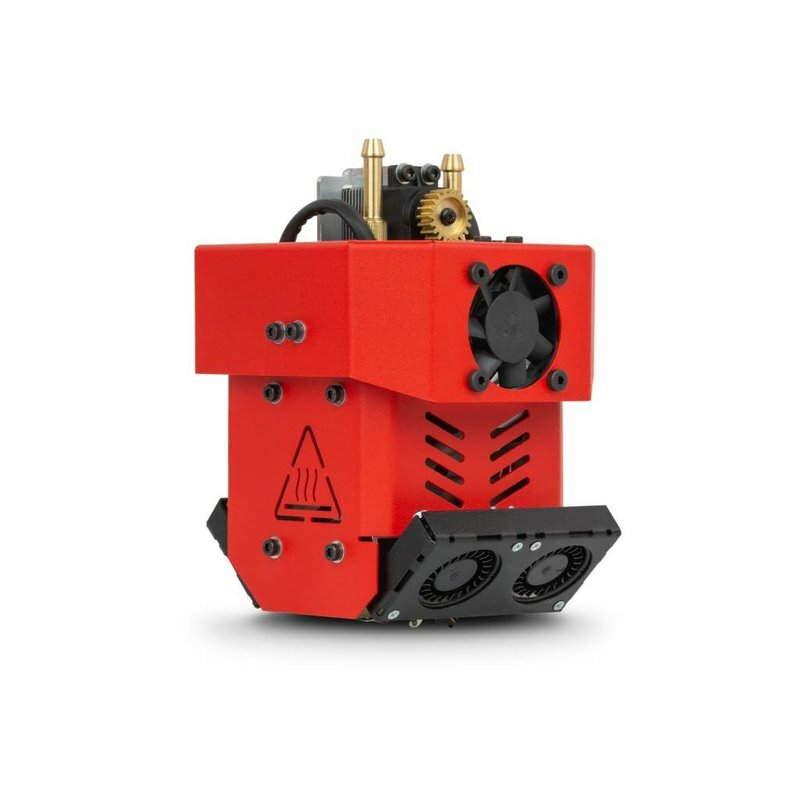 The Industry F340 has a build volume of 260 x 300 x 340mm (26 520 cm³) which is combined with a fully enclosed heated chamber. 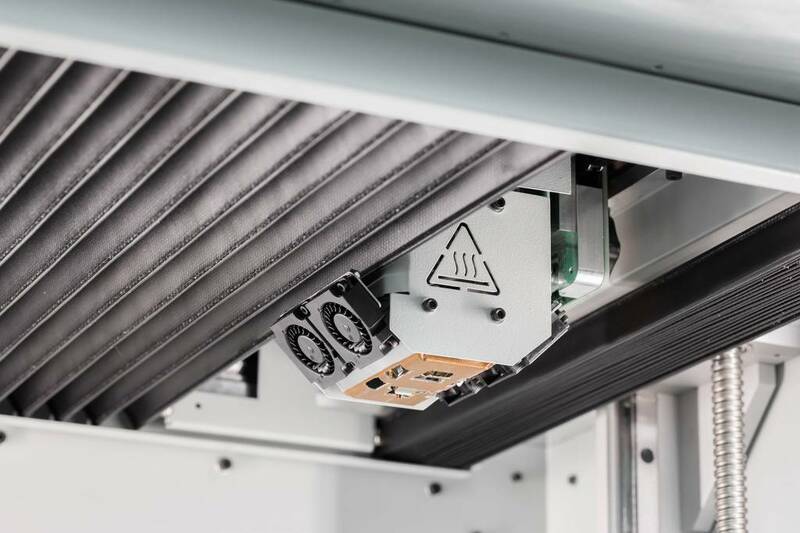 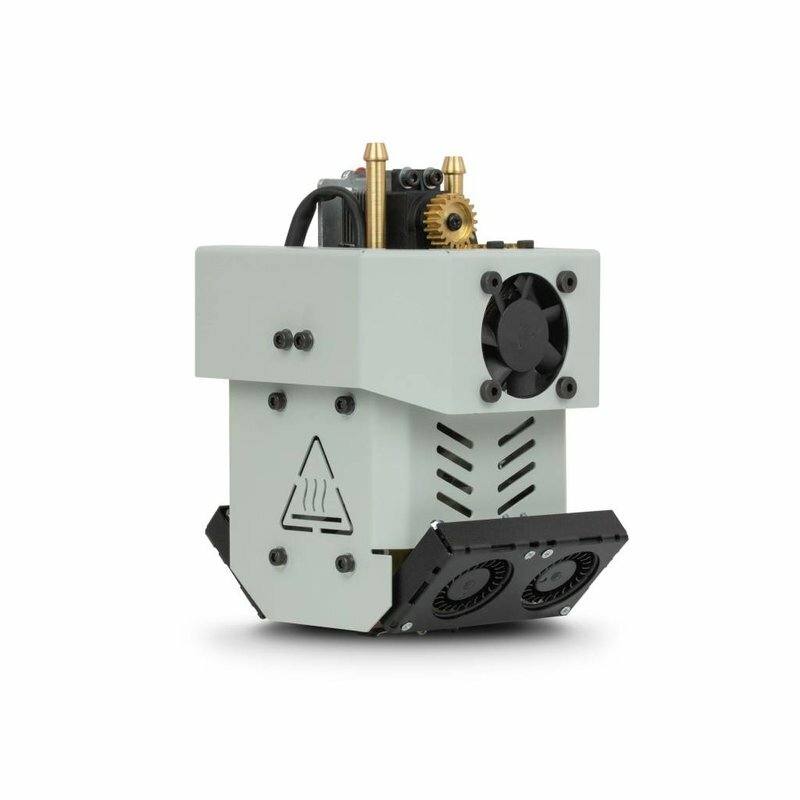 The durable ceramic printbed offers a great first layer adhesion, and the build-in air filtration systems provides a safe and odour-free printing environment. 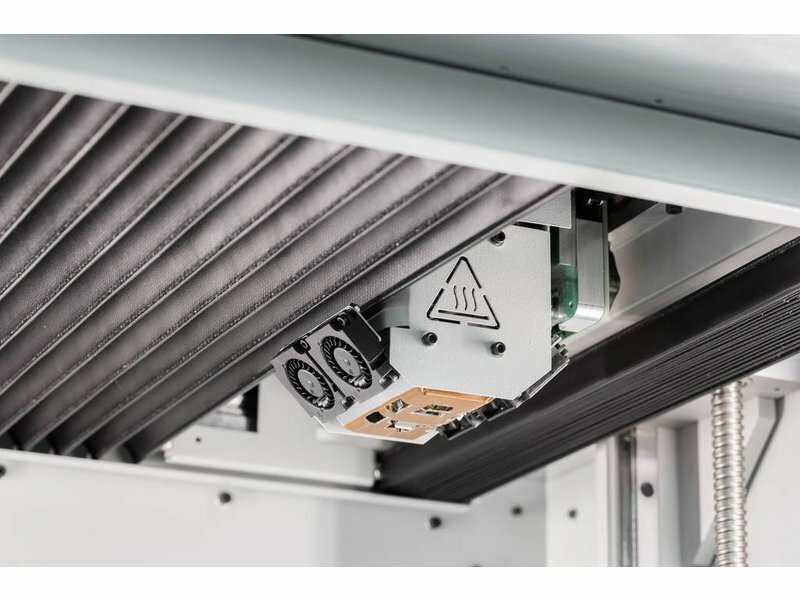 Last, the Smart Material Manager that is integrated in the Industry F340 provides a controlled and secure extrusion of your material. 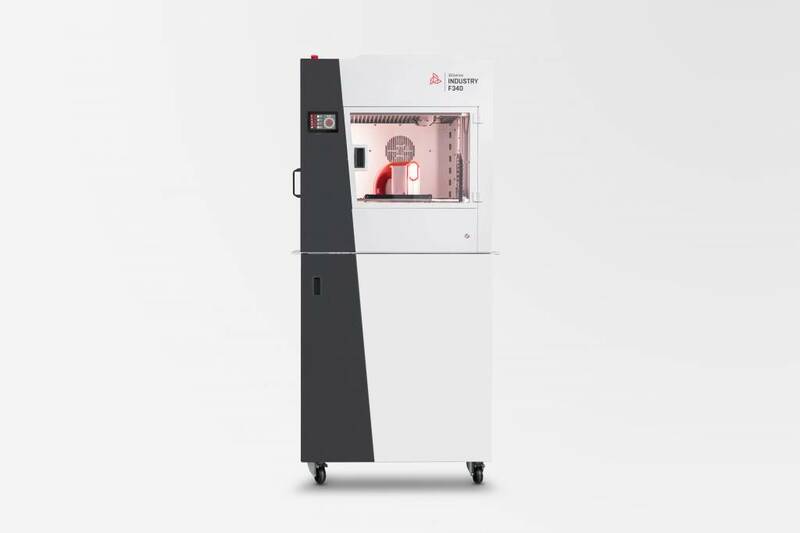 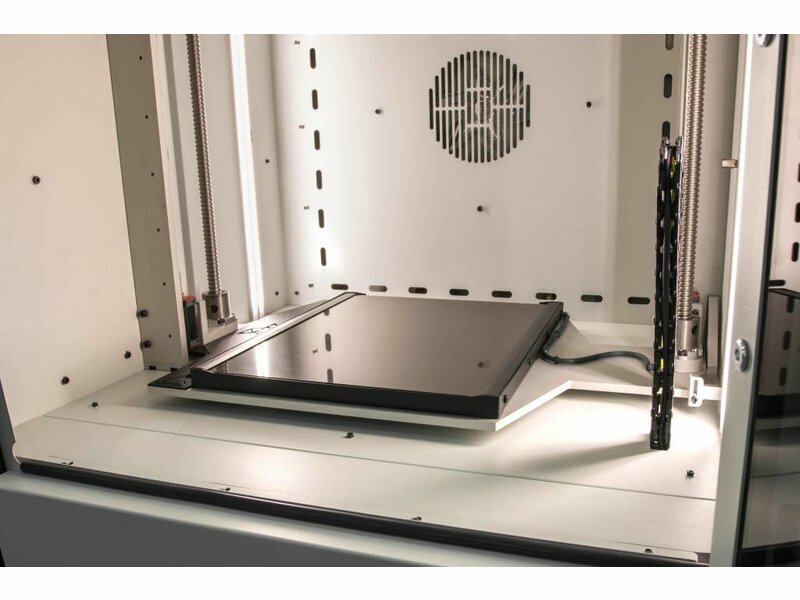 This Smart Material Manager system is an intelligent filament and printing environment control system that ensures optimized working conditions. 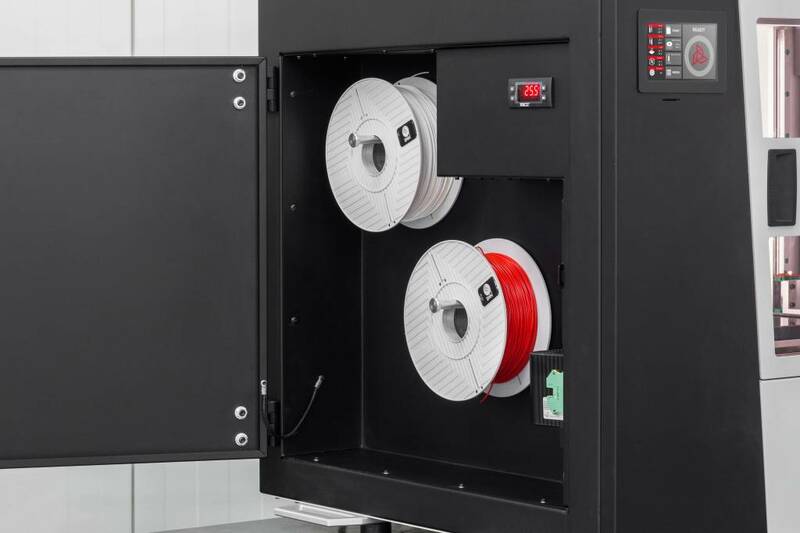 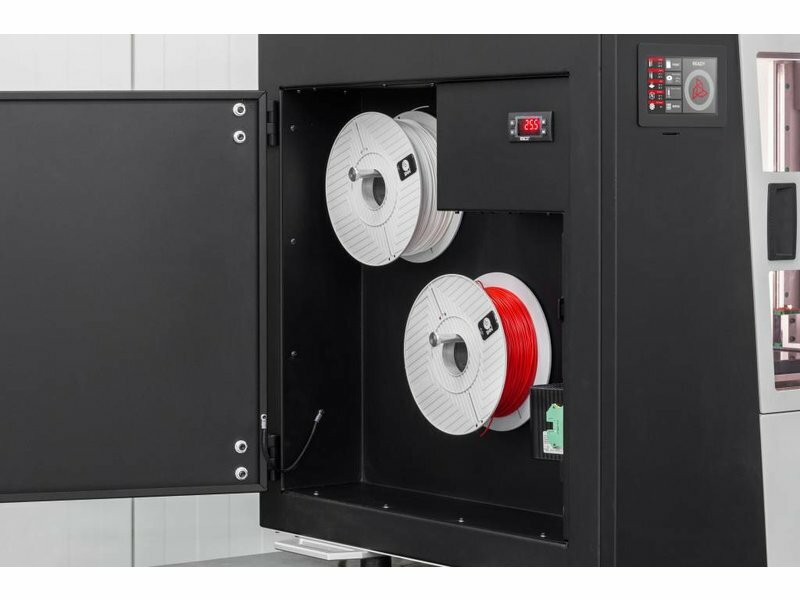 The build-in NFC-scanner collects all data about the filament being used, while the weight measurement control system measures the filament on the spool up to 5 grams accurate. 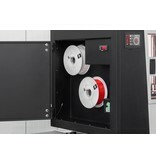 The filament extruding system monitors a constant flow while printing. 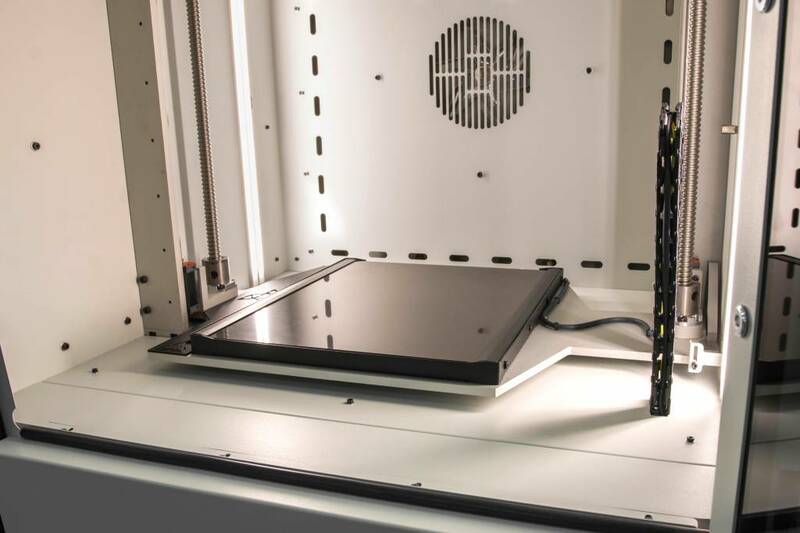 Looking at all of this, the Industry F340 provides the best printing conditions possible.